The versatility of cubes knows no bound. Jeweller Aimee Sutanto's fascination by the concept of space enclosed in its edges and borders allows her to creatively deconstruct the cubes into small individual parts and then reconstruct and modified them into new shapes and forms whilst maintaining its recognisable cubic aesthetic. By working directly on the cubes instead of designing on paper it creates an element of welcoming surprise at its completion. 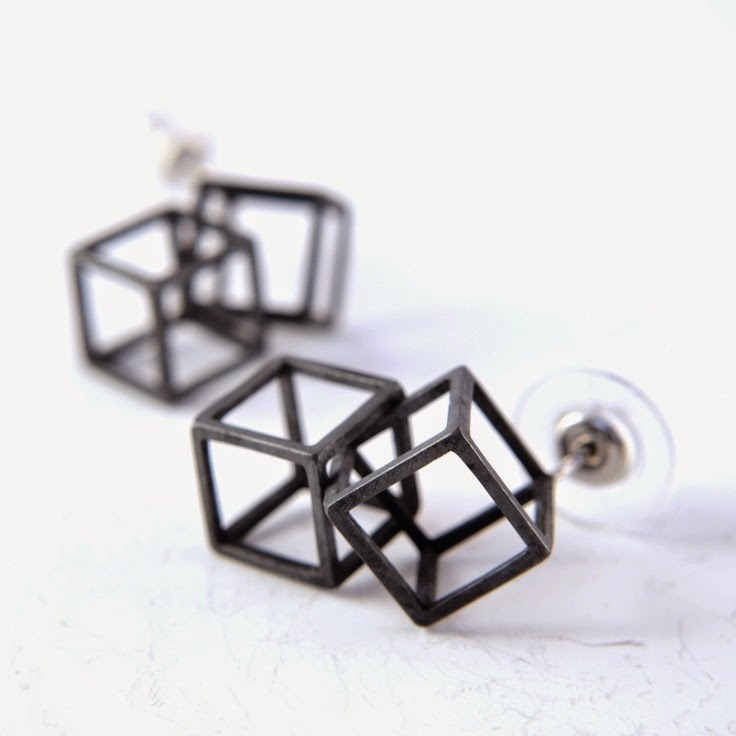 One of my favourite pieces from her Cubes collection are these double cube stud earrings, which appears to suspended in air instead of resting against the ear lobes. The merging of cubes creating an entirely new shape at varying perspectives. Labels: aimee sutanto, Australian Jewellery, Australian Jewellery Designer, cubes, Geometric, Rock it!